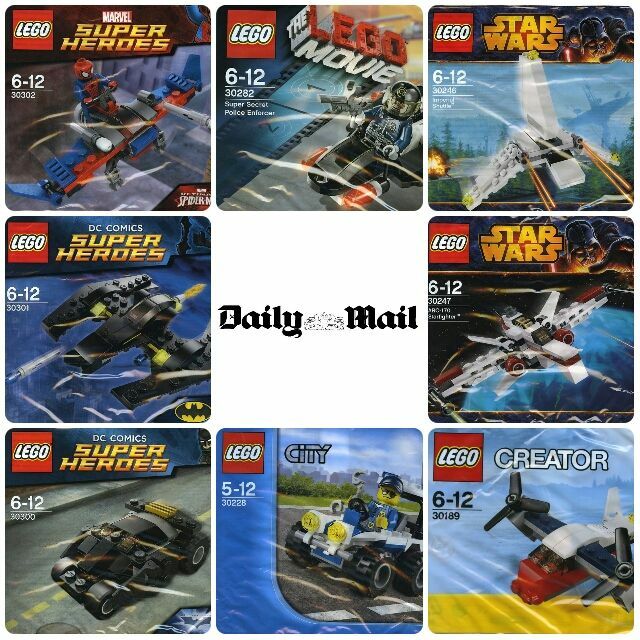 The sets are available by redeeming a printed token in the Dailymail and mail on Sunday and exchanging for the set at either whsmiths or toys r us. This offer is again to make us buy the paper to help sales, though myself I don’t read the Daily Mail or any other newspaper it is still worth getting the paper just for the Lego sets, as we all know the size of these sets would retail at around £5, so for buying the paper at 60p it is a great saving. Now normally I get each of these sets daily and then take a photo to upload to this page,this year though unfortunately due to work and family commitments I may not be able together every days Lego models. Though if I do get any keep checking back on this page for the photos of the Lego sets in different locations.